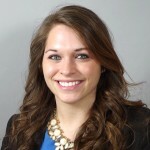 DRI Welcomes Christy Fox as Marketing Specialist - Direct Recruiters Inc. Direct Recruiters, Inc. is pleased to announce that Christy Fox has joined them as a Marketing Specialist. Working closely with Marketing Manager, Barb Miller, Christy creates compelling social media posts, blogs, and website content. In addition, Christy is responsible for DRI’s Testimonial program, marketing collateral materials e-blasts, e-news and competitor research. She also focuses on finding effective ways to implement business marketing strategies. Before joining DRI, Christy worked as a Marketing Intern at a manufacturing company and gained experience with e-mail marketing, website maintenance, and competitor research. Christy earned a BBA from Ashland University in Marketing with minors in both Information Systems and Fashion Merchandising. While at Ashland, she was the Marketing Intern at the rec center and participated in as many intramural sports as possible. She enjoys spending time with friends and family, shopping, running and playing sports. Contact Christy at 440-996-0565 or cfox@directrecruiters.com.